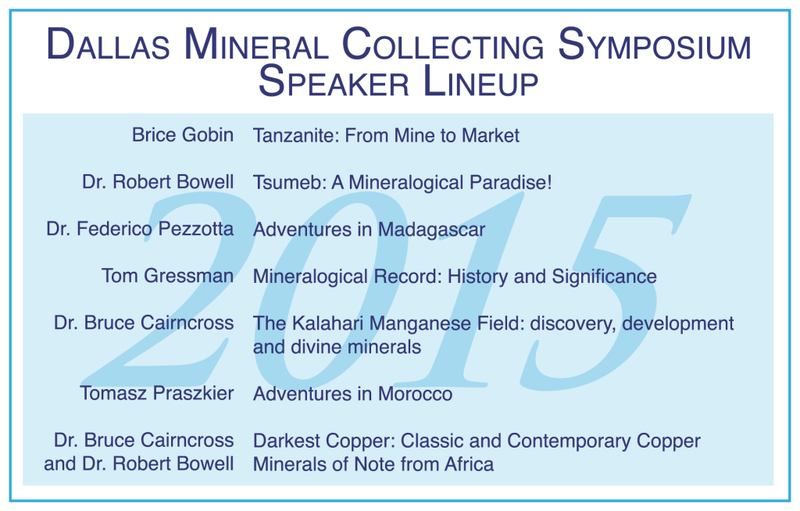 The 2015 Dallas Mineral Collecting Symposium was held August 21-23, 2015. Learn more about the 2015 speakers, read about the festivities, or explore our photo albums of the cocktail party at The Arkenstone Gallery and the Banquet and Benefit Auction. Questions? Contact info@dallassymposium.org for assistance.